With high quality, cost-competitive markets, Southeast Asia (SEA) is registering a strong annual growth of five per cent as opportunities continuously rise on both supply and demand sides. However, wide geographic distribution, varying levels of development and diverse regulatory infrastructure in the region have created operational and logistical complexities, which are compounded by the lack of a trained and capable supply chain talent base. According to a survey by Logistics Executive, a supply chain recruitment firm, logistics and supply chain have been nominated as the most difficult roles to recruit for in the region. While the talent crisis is a global issue, the challenge in SEA is stiffer due to certain factors that further alter the workforce dynamics. 1. Mismatched Skillset Supply chain remains a relatively new discipline in the region, resulting in a lack of investment in education and training. Current resources are finding it difficult to satisfy changing industry requirements. With few academic and research centres offering specialised supply chain knowledge, talent development is hampered. Consequently, only a handful of qualified professionals enter the labour market each year. 2. Increased Human Resources Pressures As talent pool growth lags the increasing demand, payroll costs are escalating. Mature markets, such as Singapore, are witnessing high costs of living along with tightening foreign labour laws. This has impacted the viability of importing talent, along with the current expats being squeezed out due to localising activities by companies. The subsequent loss of competitiveness only exacerbates the talent shortage in the region. 3. Low Knowledge Base High populations and increasing focus on technical education have produced a wide employment pool in Southeast Asia. However, it lacks depth regarding the required skills and experience. The problem is more acute in developing countries, such as Vietnam, where both production and consumption are rapidly expanding but there is not enough skilled workforce to support existing demand, let alone drive continued growth. What defines a talented workforce? In today’s fluid business environment, supply chain professionals must be able to contend with increasing complexities. Practitioners should possess both a broad skillset and a deep understanding of the industry issues. They need to display a combination of “hard” analytical skills and “soft” innovation and leadership skills. The expansion of supply chain as a strategic bridging node between various business disciplines means managers need to be efficient in overseeing integrated efforts for multiple units across multiple geographies. Though developing countries in the region are still some way off, mature markets, such as Singapore and Malaysia, have strengthened their supply chain education infrastructure. Major universities offer structured programmes on various levels; they have also partnered with leading institutes to establish academic research centres in the region. The Logistics Institute – Asia Pacific (TLI – Asia Pacific) was established as collaboration in logistics research and education between National University of Singapore and Georgia Institute of Technology, USA. Malaysia Institute of Supply Chain Innovation (MISI) was launched as a joint initiative between Massachusetts Institute of Technology and the Malaysian government. At the same time, companies are engaging institutes, such as INSEAD and University of Chicago Booth Graduate School of Business, Singapore, to provide executive level training to their middle and senior management. YCH Group’s Supply Chain City™ in Singapore fosters supply chain innovation and talent development through its Supply Chain and Logistics Academy (SCALA). Industry platforms, like Accenture’s Management Consulting Innovation Center, Supply Chain Asia and TLI – Asia Pacific THINK Forum promote initiatives for thought leadership, knowledge dissemination and executive learning. 1. Build brand value to attract talent Comprehensive review of regional recruitment patterns revealed that a considerable percentage of new hires composed of local candidates filling the redundancies caused in relation to expat positions. This situation is driving a negative trend as candidates become increasingly fickle regarding the types of roles and the salaries on offer. With an inexperienced talent pool with low employer loyalties combined with unbalanced talent supply and demand forces, the prevalent hiring practice in the industry is not to attract and develop talent but to poach talent from competitors. This approach is creating a vicious cycle which fuels unsustainability and escalating costs. 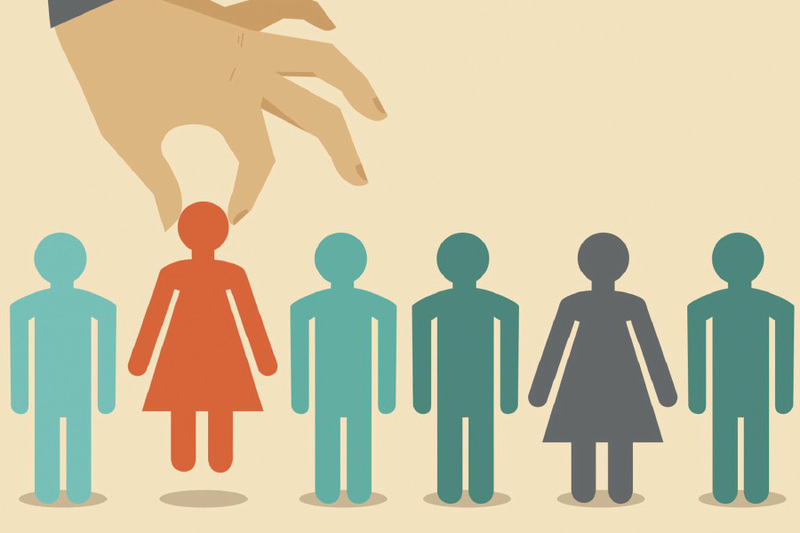 Organisations should view their hiring operations as a marketing activity. Building brand image and promoting their role as an employer will help attract talent based on the organisation’s strengths. Companies lacking a recognisable positioning can engage in industry events and associations for increased exposure to prospective hires. 2. Sustain employee satisfaction for increased retention Having attracted and acquired the right talent, the challenge now moves to retaining them. On average, one in five newly hired employees today resigns before the end of first year. It is unsurprising that retaining talent ranks as the most significant challenge year-on-year for regional CXO. The trick is to have positive on-boarding sessions to help new hires understand the company culture and operations. Structured training for roles and responsibilities, tools and deliverables would allow their seamless integration into the organisation. Probation period is a crucial time, and investment in the employee during this time could serve dividends in the future. Ongoing strategies to retain talent are equally important. Financial incentives should not be the only offer; training and development programmes provide employees with widened experiences and a reinforced skillset. Increased satisfaction boosts loyalty, in turn helping to attract qualified talent. 3. Deploy data-driven talent analytics Measurement and analytic tools help bridge the capability gap between worldclass and standard organisations. They can deliver superior business insights from analysing employee data to predict future performance. These tools are used to not only find the right type of candidates for hire, but also to take decisions regarding workforce deployment in line with company’s strategy and employee capabilities. Talent management software includes web-based tools for collaboration and knowledge-sharing. From performance and learning management to employee engagement, these platforms allow to locate content, share information, view goals, and develop skills —providing valuable data to help continuously improve the entire talent management lifecycle. Enterprises are facing challenges in building and managing efficient supply chains in today’s complex environment. They need a strong talent pool to gain a competitive edge. Implementation of global best practices for talent management can only help to a certain extent; companies need to focus on formulating solutions that focus on the region’s specific challenges. Organisations have started to recognise the importance of the region’s supply chain capabilities, and are providing support for talent grooming. However, they also need to attract and retain the best talent. Engaging both new and existing talent to promote job satisfaction and career progression mitigates retention challenges. The goal is to have an adept workforce to lead and manage efficient and readily deployable supply chains for fast and flexible solutions. Whether the ongoing efforts will bear fruitful results remains to be seen. Frederic Gomer (MSc) is the managing partner & co-founder of B2G Consulting, an international supply chain management consulting firm engaged in supporting international clients in emerging and growing markets. With his background as a global end to end supply chain management expert, Frederic has extensive experience working in a range of industries including manufacturing, aerospace, retail, pharmaceutical, heavy industries & oil & gas.